If you are looking to procure industrial grade vacuum pumps, compressors, and blowers, look no further than Airtech Vacuum Incorporated. We provide industry-leading pump solutions for chocolate production and have expert know-how in a wide range of applications. Whether you aim to improve production efficiencies or reduce overheads, we’ve got your back. Foods like cereals, cookies, candy bars, and milk shakes contain an ingredient called chocolate. In Europe and North America, chocolate is ranked as one of the most favorite flavors. However, the famous ingredient requires complicated procedures to produce. In most cases, the chocolate production process involves harvesting raw coca, refining the aforementioned into cocoa beans, and shipping them to manufacturing factories for grinding, coaching, and cleaning purposes. After these initial processes, the beans will then be imported and/or exported to other countries and be transformed into more specific chocolate products. Currently, Belgium, Switzerland, Germany, and the United States are the top countries responsible for most of the production of chocolate in the world. The U.S. accounts for approximately 28% of global chocolate production while Western Europe accounts for over 30% of chocolate production. The interesting thing is that not all major producers of chocolate have direct cocoa sources. Why Choose Airtech Vacuum Incorporated For Chocolate Production? 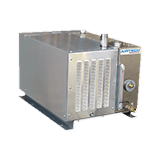 At Airtech Vacuum Incorporated, our company was founded in 1982. We have a wide experience of compressors and vacuum pumps that are designed specifically for chocolate production equipment. You may be pleased to know that we have a dedicated engineering department that possesses extensive knowledge of various technologies for compressors. That’s why our team is able to manufacture, customized, assemble, test, and maintain integrated systems. Since our inception, we have achieved and maintain a consistent track record of providing our clients with the best solutions to meet their unique specifications. As a ISO9001-2008, UL-, CE-, RoHS-, and CSA-certified company, you can be sure that we have many years of experience in handling complex, corrosive chemical substances as well as those with potentially high loads of suspended solids. 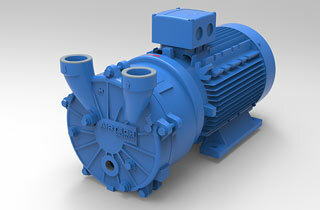 We are among the best companies you can work with for chocolate production vacuum pumps and compressors. Our experienced team of engineers will help you find and determine the best choices of products and technologies that can make your chocolate production processes more cost-efficient, safer, and faster. Browse through our inventory today and purchase stellar vacuum and compressors products that can significantly improve your chocolate production processes.